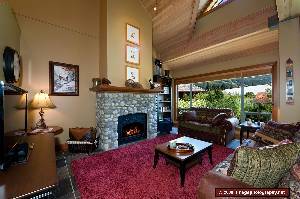 Luxury Mountain Retreat W/ Private Spa & Views! 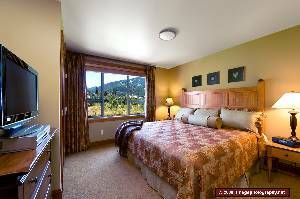 These professionally decorated, completely furnished and 4 bedroom townhomes are within walking distance of shopping, nightlife, and skiing. All homes have the same fine furnishings as seen in our photos here or on our website. 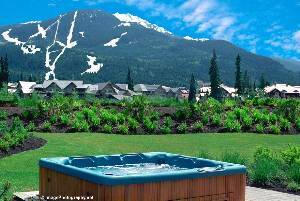 While eating at the dining room table, sitting in the family room, the master bedroom, or while sipping a glass of wine in your own personal hot tub you will have breathtaking views of beautifully landscaped gardens or the beautiful mountains of Whistler. All 3 bedroom homes have a minimum of 3 bathrooms. 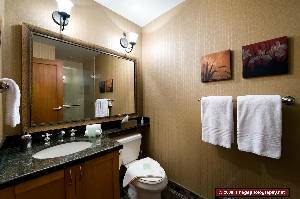 All bedrooms are completely furnished w/Armoire and television and telephones. Most homes have high speed internet service. 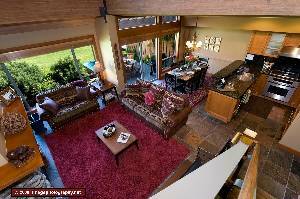 Each home comes with private single car garage that can also accommodate skis/snowboard and bike storage. 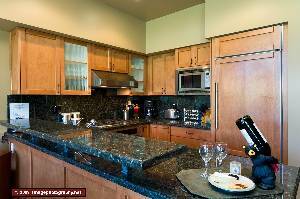 All of the amenities included in our homes will afford you and your guests the opportunity for a First Class vacation. Sorry...We are a Non Pet and Non Smoking property. Some of the features of this magnificant home include: Heated slate floors, private garage, ski storage, fireplace, air-conditioning, hot tub, BBQ grill, washer/dryer, linens included, dishwasher, telephone, microwave, toaster, coffeemaker, coffee grinder dishes/utensils, basic food staples provided, cable TV, VCR, stereo, and CD player. We have a guest friendly garage... In the summer a bike rack to hold up to 9 bikes. For our winter guests we have installed ski and snowboard storage racks as well as a the ultimate 8 pair boot and glove drying and warming system. Enjoy nice warm fingers and toes!